As a professional photographer, I’m also looking for a bag that’s going to make my job easier traveling, hiking, and can stand up to the day to day abuse that we outdoor photographers put our equipment through. For the past few years Gura Gear bags have been my bags of choice. Currently I am using a Bataflae 32L and 26L, which for carrying super telephoto lenses work very well. Their durability, functionality, and comfort are top notch. So when the Uinta was announced I was pretty excited to see what Gura Gear had come up with in their obvious departure from the Bataflae’s design. My order of the Uinta consisted of both the medium & small modules and the optional THS tripod/hydration system. Upon setup, in all honesty I was a bit skeptical at first with the lack of familiarity in design and appearance when compared to my Bataflaes. The Uinta is designed to be custom configured for holding both modules, just one, or none at all. 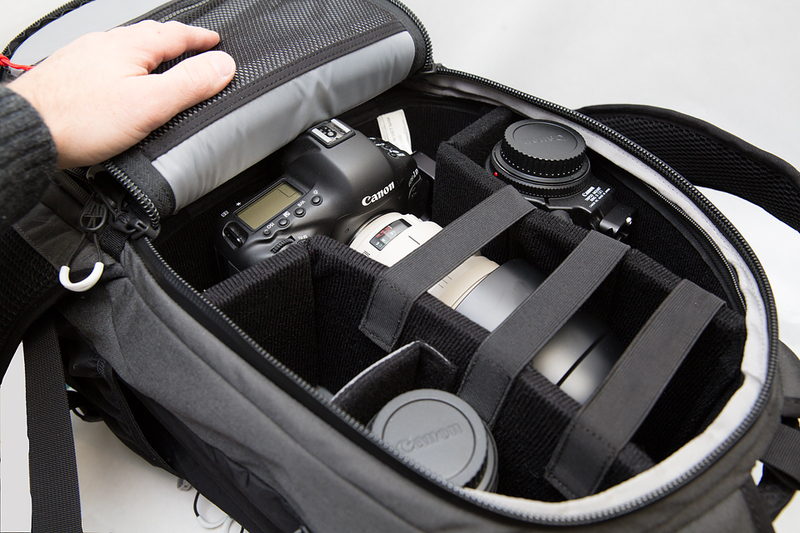 So it gives you the flexibility to load it full with camera equipment, or to configure it to hold other items such as a jacket, supplies, or other non-photo related items. You can also remove both modules and use it like a general day pack. It’s designed to be opened from both front and back, with the latter being a nice option for not getting dirt, mud, etc all over your back when setting down your bag. There is an interior pocket for laptop, and a very large front pocket for miscellaneous equipment. The bag is also designed so you can rotate it around in front of you without taking it off and accessing your equipment from the back. See Gura Gear’s video for a demonstration. 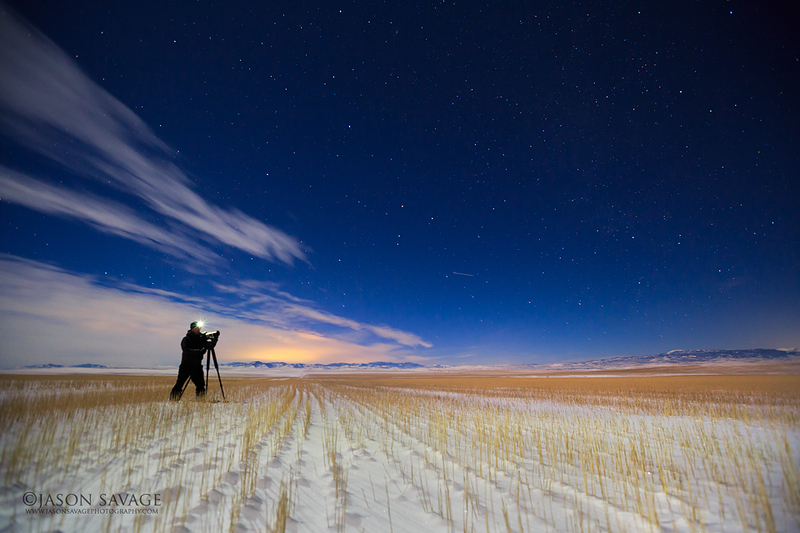 To test this new bag out, I decided to really put it through it’s paces here in Montana’s Big Sky Country. 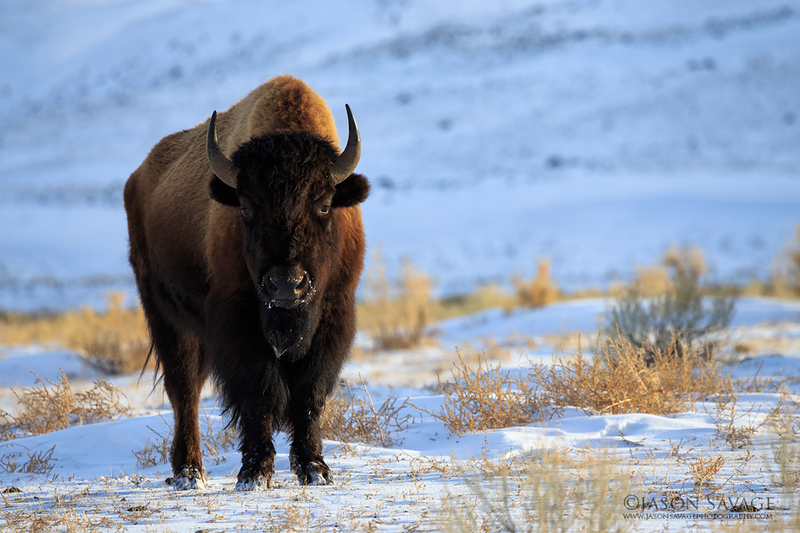 I traveled many miles on snowshoes through the Rocky Mountains in western Montana in unforgiving conditions, hiked in some of the coldest record setting weather in over a hundred years here, and took it to one of America’s iconic national parks to hang out with some bison. So here are my thoughts: This bag rocks! It’s by far one of the most comfortable camera backpacks I have ever hiked with, period. My initial skepticism was quickly squashed once I started using this bag. The first thing apparent is the amount of thought and attention that went into it’s design. 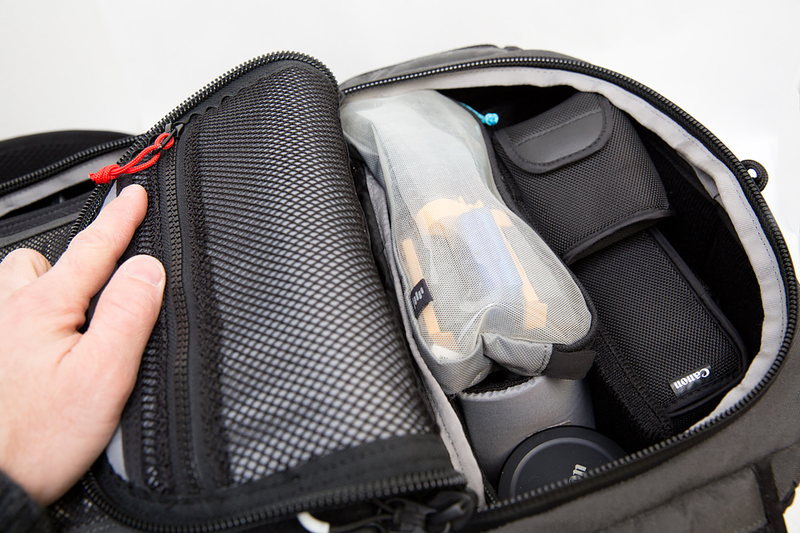 First thing I liked about the bag is the huge front pouch, you can put an enormous amount of equipment and accessories in it and it’s also very easy to get to. The other thing I really liked is the rear access for your gear. I wasn’t quite used to it, but it’s really grown on me. On my first hike out, I was impressed right away with being able to rotate the pack, grab a body with lens attached, shoot, and put it back all with the bag still on me. Very cool. Another impressive feature is the Uinta’s fit. This thing fits so snug and comfortable with the weight being very well balanced, especially when you start moving over uneven and difficult terrain. Also the tripod holder is fantastic! Best one I’ve used on a bag, carried well for many miles, and no gripes whatsoever. Very easy to take in and out quickly. I have not yet tested the hydration pack option (well below freezing). The last thing to note is the durability. Looks can be deceiving! This appears to be right up there with Gura Gear’s other bags in terms of quality of materials and after the abuse I threw at it, no worries whatsoever. As far as complaints, well I don’t really have too many. The one thing I would have liked to have seen differently was the internal zippers in the interior having protective covers over them like they do in the Bataflae bags. This is mainly if you have a camera body directly under it, it could cause some contact. Not a worry for me though as my camera bodies weren’t located there and it’s easy enough to work around, so not a huge deal. Also the lower module area I would have liked to see just a hair larger as it would better accommodate a larger body with lens attached, again not a huge deal, just some nitpicking. So if you’re looking for a bag that will allow you to go on some extensive day trips comfortably and looking for maximum functionality, durabilty and flexibitly, I would highly recommend the Uinta. 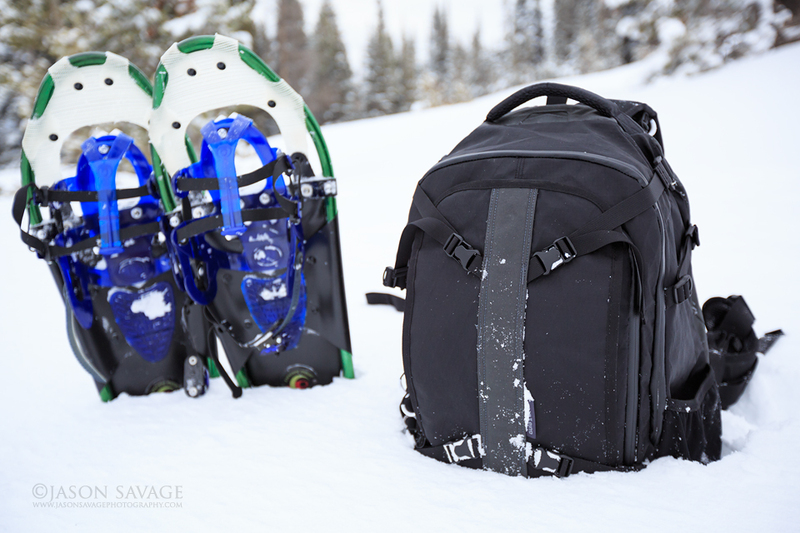 It’s become one of my favorite bags and now my two main bags that I will be using are the Uinta and the Bataflae 32L. 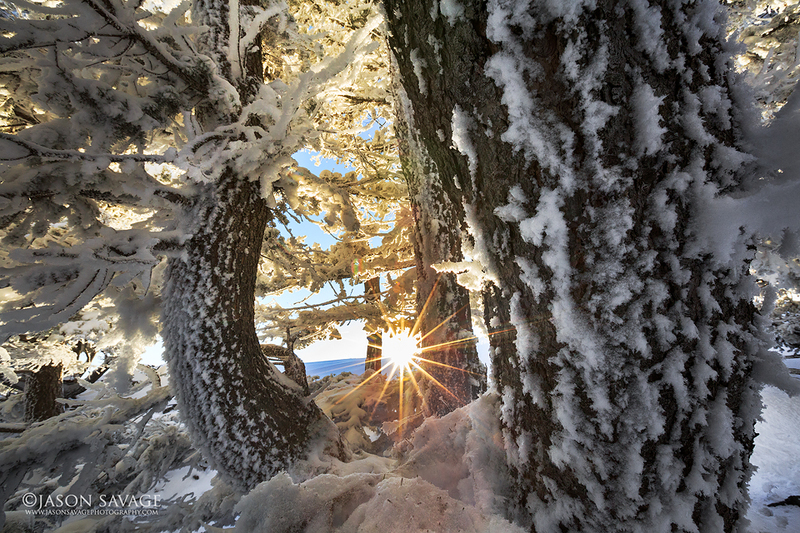 Sunset along Montana’s Continental Divide. Thank you for this review – I believe the first one on the Uinta bag. I have a question: If you use both modules, can you still store a jacket, hat etc in or on the bag? Since it appears to lack external attachment points, I see the front pocket as the only place for this purpose. Is it big enough for e.g. a shell and a fleece? I am torn between the f-Stop Gear Loka and the Uinta. What I like about the Uinta is that the two modules give you a lot of flexibility, even on a trip. With the Loka, you have to commit pretty much before the trip which module to bring. The modules are removable, I use the top one (the medium) for camera gear and take the bottom one out if I’m doing any hiking. That way I can store a jacket or whatever I might need in the bottom compartment. Hi Andreas, thanks for your email, I hope you got my response. To answer your question on this post, with the two modules in, I can still get a lightweight Patagonia fleece jacket directly behind the modules, that’s about it. Of course the front pouch has plenty of room for light to mid weight jacket, hat, etc. as well as the tripod holder providing a place to stash a jacket as well. The compression straps on the side can be used to secure smaller items as well such as mittens, hat, and other essentials. Of course removing one of the modules will open up plenty more space for day trip must haves. Great review Jason! My question is: what size tripod can you comfortably carry on such a pack. I have a RRS 24L with BH40 (about 26″ total length), do you think this would COMFORTABLY fit? Currently using a think tank street walker pro which it fits fine in but the bag is not the most comfortable for day hikes. Waist straps ride too high and chest strap is not optimally placed imo. Hi Joseph, I am currently using a Gitzo 3541LS and RRS BH55 ballhead and this pack carries it just fine. No problems whatsoever. I have hiked and snowshoed many miles with this on the tripod holder, with and without the water bladder inserted without any trouble.